Hwy 55 is an all-American brand. One that reflects down-home values, and the quest to find the absolute perfect burger. Which is why some might be surprised to find a branch outside of the United States. Since 2013, the brand has been serving up American classics in Abu Dhabi, United Arab Emirates (located just off the Persian Gulf, east of Saudi Arabia), complete with the charm of a 50s style diner. It’s a theme UAE citizens can’t get enough of. “It was a hit,” said franchisee, Assaad Khalil. “Everybody was happy we have this type of concept in our region.” It’s done so well that he’s slated to open two more locations this winter, expanding across the Middle East, with plans to conquer North Africa as well. And so far, it’s a plan that’s worked exceedingly well. As for the original UAE branch in Abu Dhabi, Khalil said they couldn’t open soon enough. During construction and decorating phases, future customers would knock on the doors and ask when the restaurant was opening. Upon opening, Khalil said the business received double, if not triple, their expectations in customers and sales. A fact he was not only proud of, but that will allow him to continue with the brand. 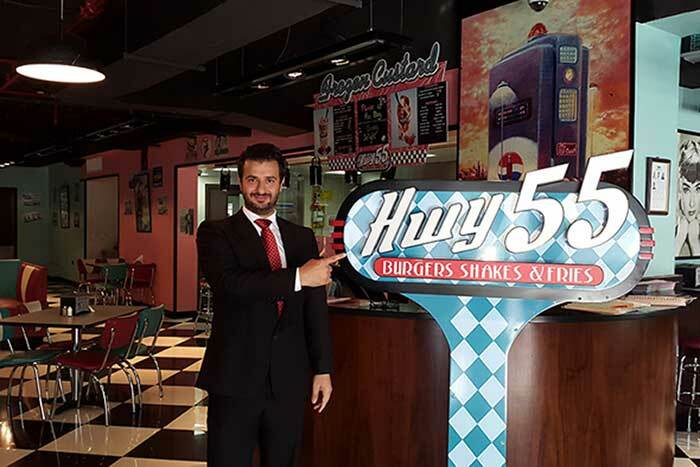 Abu Dhabi’s Hwy 55 has since out-performed other concept restaurants, even American-based chains, he said. And in the Middle East, most hamburger restaurants deliver, though Hwy 55’s success was had even before the product was dropped off at customers’ doors. Due to atmosphere, tasty food, and a price line that’s “really convenient,” Abu Dhabi’s Hwy 55 has continued to flourish. Khalil said the location is regularly filled with businessmen – suits and all – hosting meetings throughout the lunch hour, usually at 1 or 2. Their evenings generally consist of families coming in for dinner. When choosing to work with the Hwy 55 brand, however, Khalil said it wasn’t a decision he took lightly. After talking with representatives from the brand and traveling to the U.S. – specifically the main office in North Carolina – he was intrigued. “I found the concept really interesting,” he said. “I thought it could work really well in the area. Though Hwy 55 didn’t have that issue. “It’s the same taste, the same feeling, the same atmosphere at any Hwy 55,” he said. The overall brand motto is another aspect he credits with his growth. Adding that the company is built upon family values, which are a part of their every move. From building burgers that are tasty in any location, to offering solid brand support to their franchisees. “Hwy 55’s main focus is brand reputation, brand equity, and for customers to be happy,” he said. 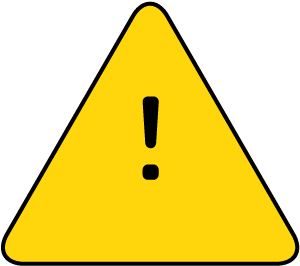 Three traits that are hard to beat, especially in a consumer-based chain. One of their biggest sources of brand reputation, however, just might be Khalil himself. Not only in loyalty, but his love for the food. Since opening, the burgers he cooks at home just can’t seem to compete with Hwy 55’s menu. His favorite? Andy’s cheeseburger with provolone, served “all the way,” meaning it’s decked out in condiments and veggies. A combination that he and his customers agree, is simply too good to beat. The brand first opened in 1991 as Andy’s Cheesesteaks & Cheeseburgers. Kids meals are served in a (really cool) cardboard red convertible box. Customers who can down 55 ounces of meat, along with four toppings, a 24-ounce soda, and fries, in 30 minutes get their meal free. It’s known as the 55 Challenge. Winners also get a mention on the company website.